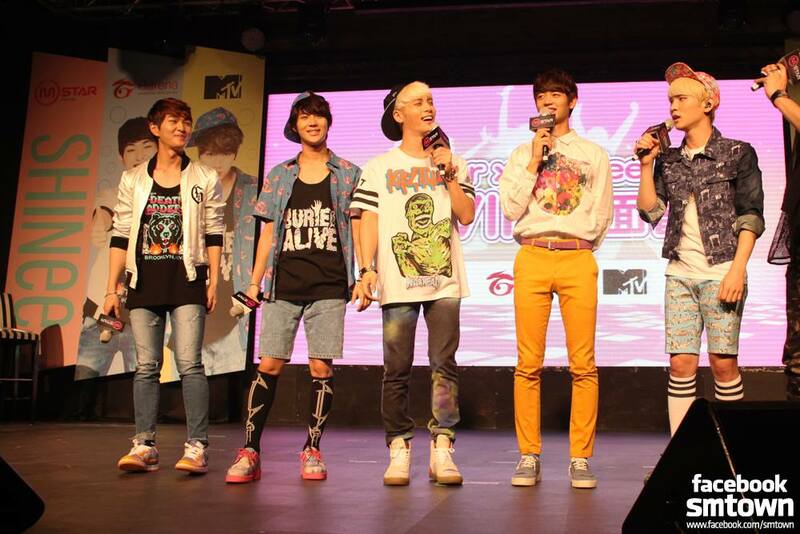 The busy boys of K-Pop recently traveled to the exotic country of Taiwan. SHINee was there to connect with their devoted fans overseas and SM Entertainment didn’t forget to include the rest of the world! Today, the agency shared a group of photos from the event “Super VIP Fan Meeting in Taiwan” so we could see the group’s smiling faces and they could showcase their fab fashions. Click Here to see the entire photo album. All rights to the image and quote belongs to SM Entertainment and SHINee. This entry was posted in Entertainment, Events, Music, News and tagged 샤이니, SHINee. Bookmark the permalink.